Mati Aharoni has announced the release of Kali Linux 1.1.0, a point release of the project’s Debian-based distribution with specialist software tools for penetration testing and forensic analysis: “After almost two years of public development (and another year behind the scenes), we are proud to announce our first point release of Kali Linux – version 1.1.0. This release brings with it a mix of unprecedented hardware support as well as rock-solid stability. 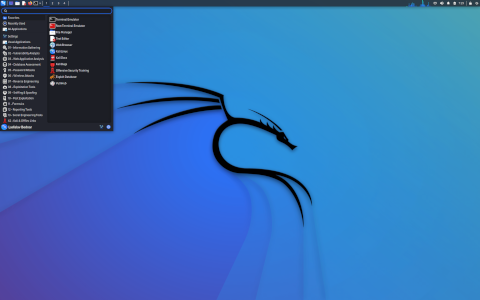 For us, this is a real milestone as this release epitomizes the benefits of our move from BackTrack to Kali Linux over two years ago. As we look at a now mature Kali, we see a versatile, flexible Linux distribution, rich with useful security and penetration testing related features, running on all sorts of weird and wonderful ARM hardware. But enough talk, here are the goods: the new release runs a 3.18 kernel, patched for wireless injection attacks; our ISO build systems are now running off live-build 4.x….” Read the rest of the release announcement for upgrade instructions and to see a promotional video. Download (SHA1): kali-linux-1.1.0-amd64.iso (2,908MB, pkglist).